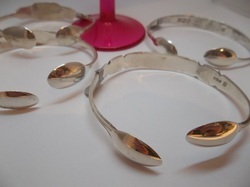 A collection of jewellery made from antique items using a technique known as reticulation which involves heating silver so it free flows into an organic form. 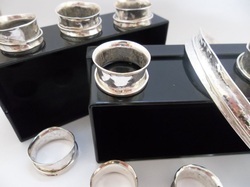 Each piece is individual so cannot easily be repeated. A collection which, as it's name suggests, involves hearts. 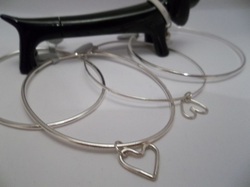 Lots of items made from antique pieces and new silver with a heart theme. Includes 'companion hearts' for mother and daughter. This group of rings, bangles and necklaces all spin and move about in some way. If you like to play, these items give you the ideal opportunity to fiddle around! Everything that has no start or end. Round, bubble formed, concave shapes to catch the light. 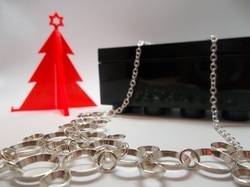 Movable rings and circles that can be made in different configurations. 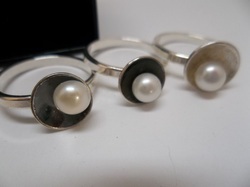 You guessed - a collection involving freshwater pearls - white, cream, peacock and coloured pearls set onto a backdrop of silver which is in natural or oxidised (blackened) form for colour contast. Take a peek in each collection section. But that's not all - there are lots of other items under the product section too.